The Neuroscience of Emotion provides an overview of the history, current theories and, importantly, limitations of research in emotion. It serves as an introduction to the field primarily for research scientists in adjacent areas, as it presumes the reader has a firm grasp of scientific methods and rudimentary knowledge of neuroscience. However, for those with appropriate background and curiosity, it is extremely rewarding. 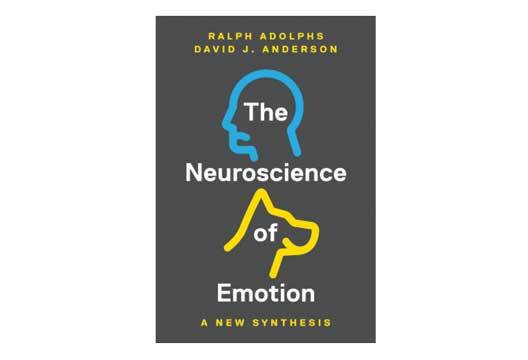 Ralph Adolphs and David Anderson are both professors of neuroscience at the California Institute of Technology, with respective specialties in human and animal emotion. Both bring to the book their accomplished scientific careers, as well as extensive engagement with the general public about current issues in neuroscience. The premise of the book is that emotions must be investigated as functional states that impact other neurological processes. This acknowledges the emotional experience of ‘feelings’ but completely separates them from neuroscientific research. The authors argue it is only by sticking to physiology and neuroscience that a research framework can emerge to create common understandings of emotion. Through this lens, the authors present a tour of contemporary emotion research from animals to humans. Along the way, readers are introduced to various techniques to study and measure emotions, with consistent reminders that the biological emotion state need not be conflated with the conscious experience of emotion. Although Adolphs and Anderson do not purport to fully define or understand emotions, they strongly perpetuate the idea of discrete emotional states. By reasoning about emotions as discrete functional states, they claim to provide a framework through which emotion researchers can create common understandings. However, this imposes a practical limitation on the way researchers examine emotions and their biological manifestations, which they neglect to fully examine. Overall, this well-timed overview on the current state of emotion research is thorough, stimulating, and engaging. While demanding enough to scare away the casual reader, this book is a pragmatic addition to the shelf of any emotion researcher, and a must-read for all scientists interested in the field.